To the West of Barber School there is a gazebo. 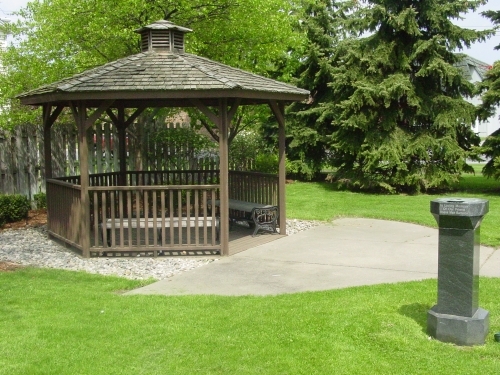 The gazebo has a great atmosphere for an intimate wedding ceremony or socializing. The Great Room can be used for meetings or social functions such as birthdays, graduations, showers, etc. A “warming” kitchen is available for use during a rental. It contains a microwave, stove and refrigerator. To the rear of the building, parking is available with easy access to the rear entrance. Handicap parking is also located here. 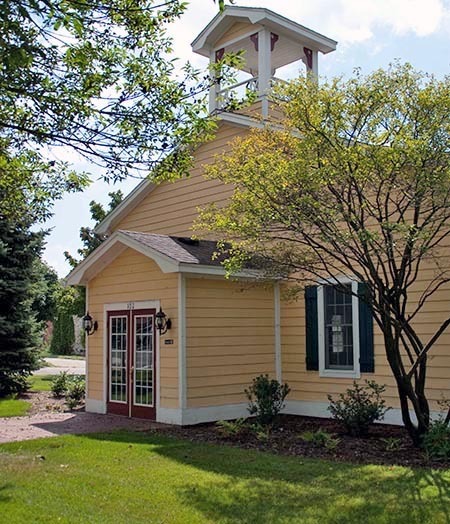 Built in 1855, the Barber School has served the community as a school, church and public hall. Purchased by Hunter Savidge in 1873, the school was moved from the southeast corner of Park and Liberty streets to the Cutler and Savidge Lumber Mill, where it was used as a warehouse. 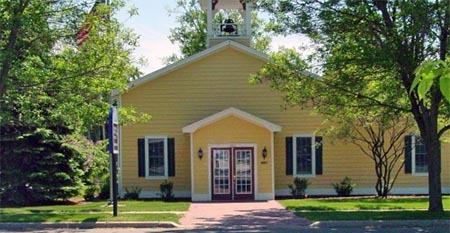 The building also served as the first building for the Spring Lake Yacht Club. In 1987, the Spring Lake Heritage League acquired and moved the building to its present location at the southwest corner of Exchange and Buchanan streets. A bell tower and lean-to addition with bathroom and kitchen were added at this time. Today, the building is used for Village Council meetings, various community functions and can also be rented for private functions. Barber School is available to rent for graduations, wedding and just about anything!